Sara Leigh Shaw is a drummer, percussionist and music-maker based in London. As a session musician Sara has toured internationally with grass-roots acts all the way through to award winning artists. Live highlights include playing for artists such as Hans Zimmer alongside Johnny Marr and Pharrell Williams; New Young Pony Club; Ebony Bones and Charli XCX. Sara has also appeared behind the kit on many TV shows including TFI Friday, ITV Awards and T4 on The Beach and has appeared in music videos for Florence And The Machine and Cuckoolander. She regularly plays for new and up-and-coming artists on the London scene as well as private events in the South East area and beyond. As a music-maker her own project The Pearl Harts have made a name on the live rock scene supporting Garbage around UK and Europe in 2016 and most recently completing a European arena tour with Skunk Anansie in 2017. Previously Sara has drummed for the radical and critically acclaimed all-female alternative choir Gaggle; who caused a storm with their moving and chaotic performances. At the same time Sara toured the UK and Europe with 10 other percussionists in the theatrical drumming show Noise Ensemble. 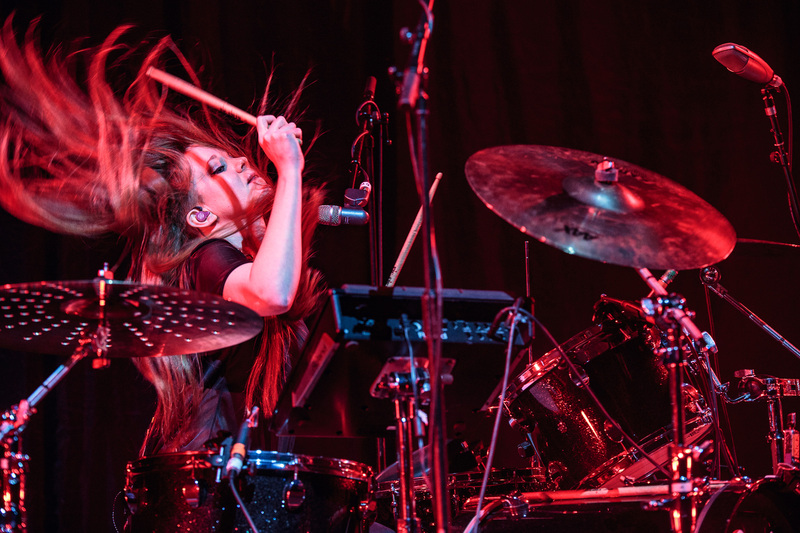 She is proud to endorse Premier Drums, Sabian Cymbals, Roland Electronics and Vic Firth Sticks and enjoys mixing up old style drum beats with electronic sounds to give vintage beats a modern edge.